Um, did someone say Nutella and bananas? Yes, please. 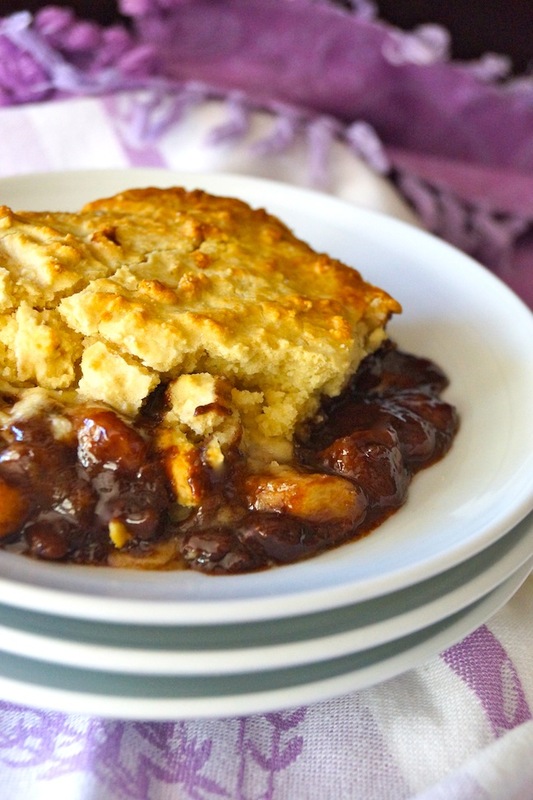 This is not your traditional fruit cobbler. It is, however, my family’s new favorite brunch and dessert cobbler recipe. There’s just something so luscious and comforting about warm Nutella wrapping itself about soft bananas—all beneath a buttery, flaky cobbler crust. Go figure! 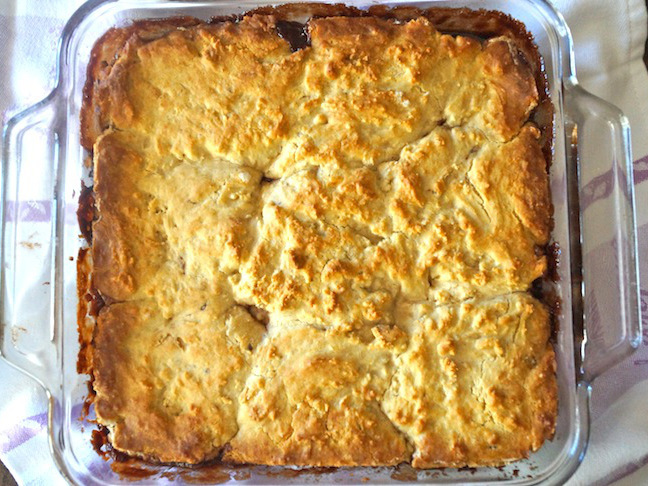 Needless to say, this banana Nutella cobbler is one recipe both of my somewhat picky eaters absolutely love. Step 1: Preheat the oven to 400 degrees F, and adjust a rack to the center. 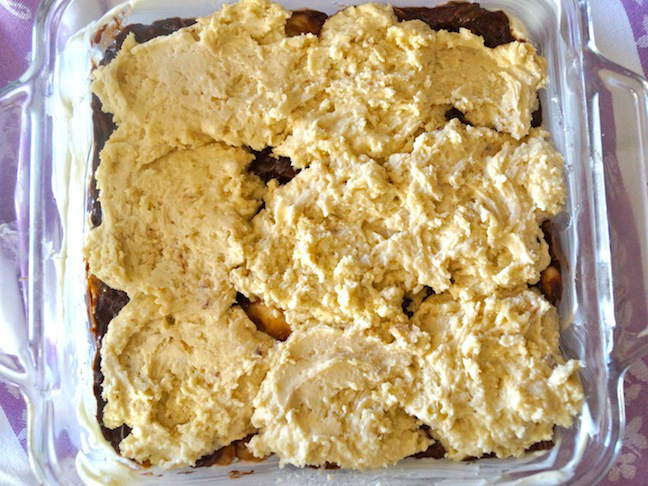 Grease the bottom and sides of a 9x9 inch baking dish with 1 tablespoon of the unsalted butter. Set aside. Step 2: In a medium-sized mixing bowl, mix the Nutella with the banana slices. Then add this to the greased baking dish. Set aside. Step 3: In another medium-sized mixing bowl, mix the flour with the baking powder, sugar, and salt. Add the remaining ¼ cup of softened butter and mix it into the dry ingredients with a fork. Add the egg and milk, and stir until everything is combined evenly. 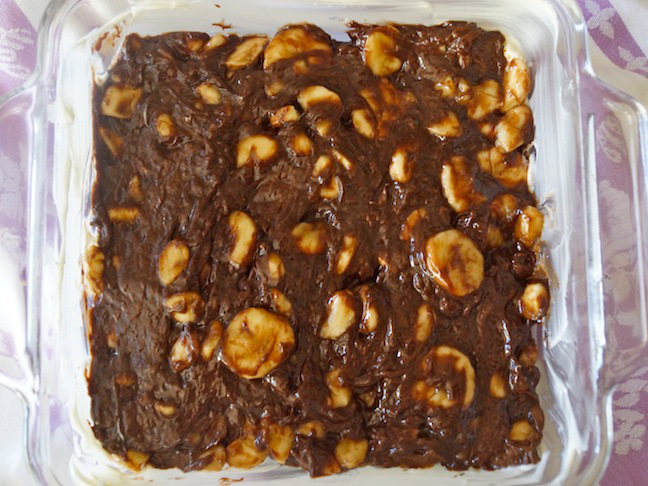 Use a large spoon to drop the batter over the Nutella-banana mixture. Step 4: Bake in the preheated 400 degree F oven until the topping is golden brown, about 25 minutes. Step 5: Serve hot or warm.